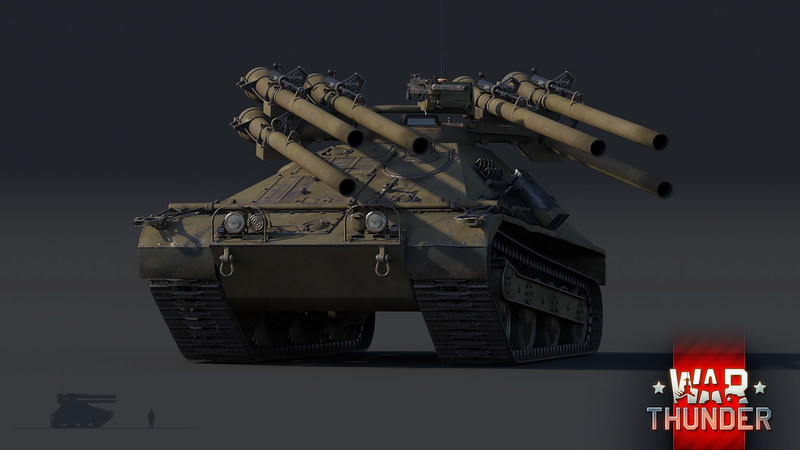 Serving primarily with the USMC during the Vietnam War, the M50 Ontos didn’t just earn a formidable reputation for looking scary, but also because of its deadly effectiveness in the precarious jungle environment of the Asian South East. 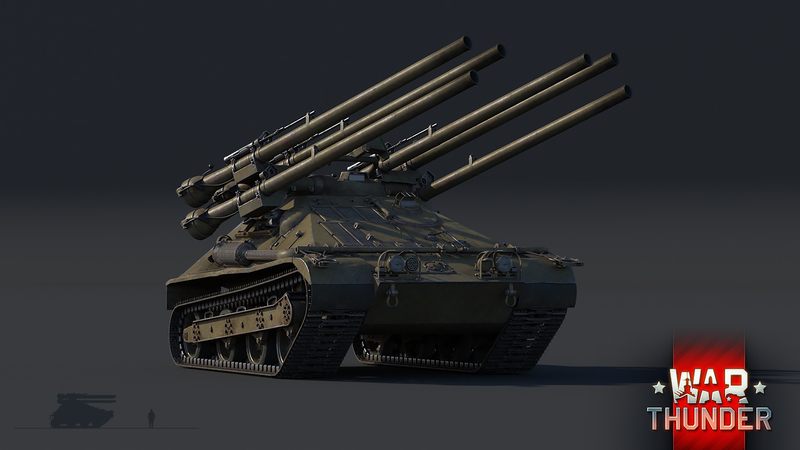 Though the real thing didn’t manage to fulfill its designated role in real combat, the M50 Ontos will have every chance to show what it’s really capable of in War Thunder’s upcoming 1.71 update! Development of the M50 Ontos began in the early 1950s, as a lightweight anti-tank project intended for use by the US Army’s airborne troops. The development contract was given to the Allis-Chalmers company, which produced a prototype for testing purposes in 1952. In 1955, by the time the testing was concluded, the US Army lost interest in the project and decided to cancel the contract. However, as the US Marine Corps were in dire need for any anti-tank vehicle, they seized the opportunity and quickly ordered 297 M50 Ontos into production, effectively reviving the project. 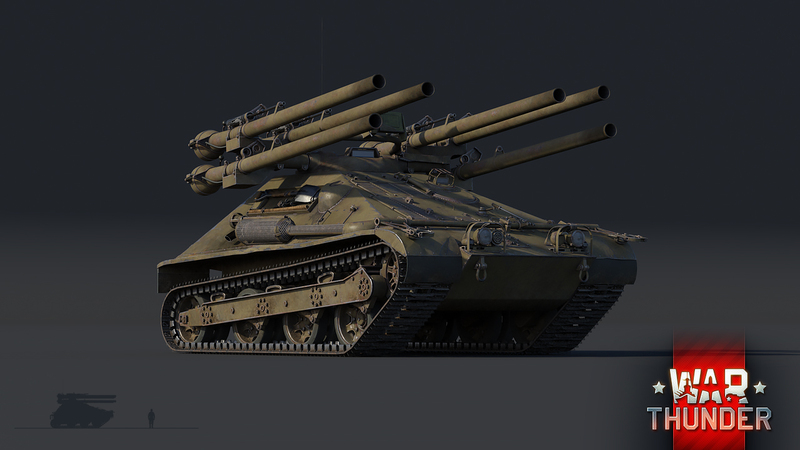 The first units of the Ontos would enter service with the USMC as early as 1956. Straight out of the factory, the M50 Ontos received its baptism by fire in the ongoing Vietnam War, where it was repurposed to an infantry support vehicle, due to the lack of enemy armour presence. Surprisingly, the Ontos proved itself to be very effective in this role, thanks to the volume of fire it could deliver within a short period of time and mobility in the hostile jungle environment, often being able to go to places where other tanks would get bogged down. Very quickly, the M50 received a favorable reputation with its crew and the troops it was backing up in the heat of battle, for being a reliable combat companion. At the same time, whilst the Ontos had a positive effect on morale of friendly troops, it struck fear into the enemy troops by its alien look and devastating effectiveness. Despite the great successes of the M50 Ontos during the Vietnam War, the tank didn’t have an extensive service life, serving with the US armed forces until 1970, when most of the surviving hulls were disassembled and turned into scrap metal. 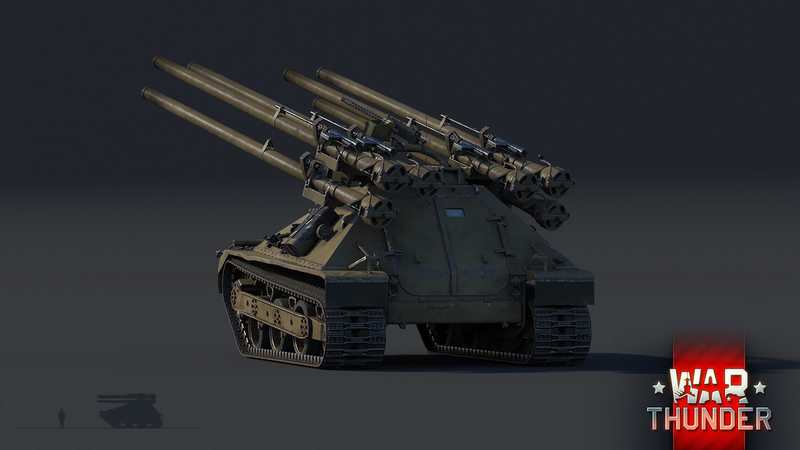 In War Thunder however, the M50 Ontos will, unlike its real world counterpart, find a wide range of armoured targets to engage in combat with, thus it can fully focus on its originally intended light tank destroyer role. The M50’s small, lightweight chassis is powered by a 6 cylinder 145 horsepower engine, capable of propelling the nimble vehicle forwards at a speed of 30 mph (48 km/h). In combination with the engine, the vehicle’s low weight and ground pressure allow it to reach its maximum speed quickly and maintain it relatively well, even on rough ground. But as any tank commander knows, mobility is not what kills other tanks, it’s guns, and the Ontos has a lot of guns! Located above the hull, sits the Ontos’ low-profile cast steel turret, which holds two arms with three 106mm M40A1C recoilless rifles each. Although it has tricky ballistics, shells are able to penetrate up to 380 mm of cast steel! 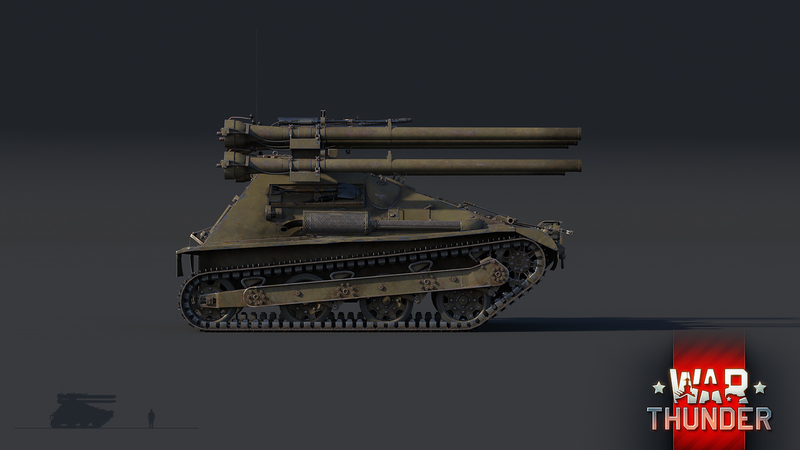 Some players may already be familiar with these canons, as the Japanese Type 60 SPRG features two of the exact same guns! Similarly to his Japanese counterpart, the Ontos features 0.5inch (12.7mm) machine guns strapped to each of the top-mounted guns, that can be used for ranging. To deal with the threat of low flying aircraft and lightly armoured vehicles, Ontos commanders also have a 7.62mm machine gun, mounted on top of the turret, at their disposal. However, in order to keep the weight of the vehicle as low as possible, the M50 Ontos didn’t receive particularly thick armour, thus it was vulnerable to anything larger than small arms fire. Additionally, the small size of the fighting compartment limited crew count and ammunition reserves severely, allowing the two man crew to perform a maximum of two reloads during combat. Unlike the Japanese Type 60 SPRG, the M50 Ontos has a higher silhouette due to its gun arrangement, making it slightly easier to spot. 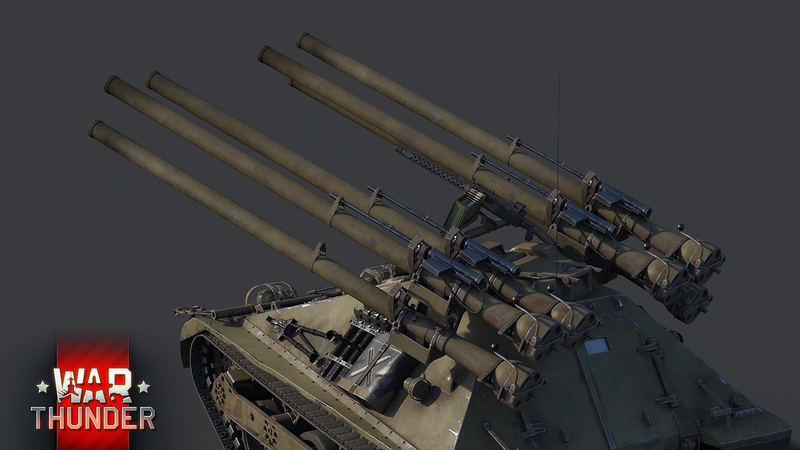 The M50 Ontos is being readied to be deployed within the high ranks of the US ground forces research tree in War Thunder’s upcoming 1.71 update. This thing was considered one of the ugliest 'tanks' in existence, no wonder the viet cong didnt want to fight it. Looks don't matter when you've got 6 guns! How can you call it ugly? It's so cute. Will we see any more devblogs of vehicles that we didn't see a Gamescom? Of course. 1.71 has much more content that what we showed since now. Stona_WT, Will We See Japanese Tanks For 1.71? And Not Just 1 Like The Previous Update "Chi-To Late"
RedTipAlpha, Yes, I know. I'm asking if we will get some more devblogs of vehicles that we didn't see at Gamescom, before 1.71 is out. Where's my F-4 Phantom, Gaijin? Alfredo_Potato, Where's my B-26 Maurauder Gajin? Wheres my ac130 spooky, Gaijin? Type 60 Still Better Than This Copy Cat. not onley can u use those .50 for ranging , they are ranging machineguns , a long long,, even longer , time ago i worked a short time in training as a gunmechanic on this type . so its nice to see some of my own past in the game. to be predise this tip of gun and ranging gun on a nekaf jeep. gunmechanic, precise , srry type error.